Tonight, on Aby-a-Day, a very special photograph. 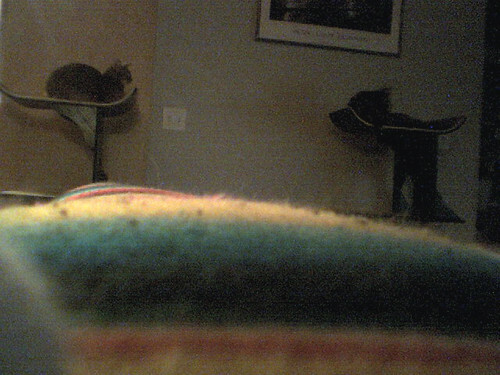 This photo of Angel and Jake on the cat trees was taken by none other than Kylie, using a Pet’s Eye View Camera. If you look closely, you can see her paw at the lower right corner, and those “sparkles” coming from the upper left corner are her whiskers. It’s not a great camera, but it’s not bad, and it’s awfully fun to see what things look like from the cats’ points of view.